Fast and professional repair of your smartphone! 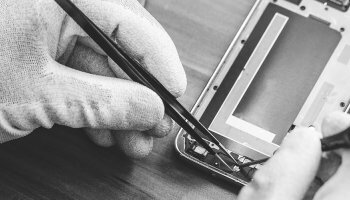 HANDYMEISTER is your ideal partner for a professional iPhone, iPad & iPod repair service in Basel and throughout Switzerland as well as for many other brands. A quick repair and a reliable service are important to us. We at HANDYMEISTER work exclusively with original spare parts. The most important thing for us is to return your device as soon as possible so you can use it again. We repair almost all brands. Make an appointment now by phone 061 733 19 19 or just come over! We at HANDYMEISTER offer you an incomparable service on top conditions, let yourself be inspired by our services! We are glad to be here for you.